Okay, pessimism as the cure for anger is a little depressing. And yet, I can see how it could be. You’re always ecstatic if your plane is on time if you were expecting it to be two hours late. Great post, Elizabeth. My head was nodding the whole time — how I remember those days! 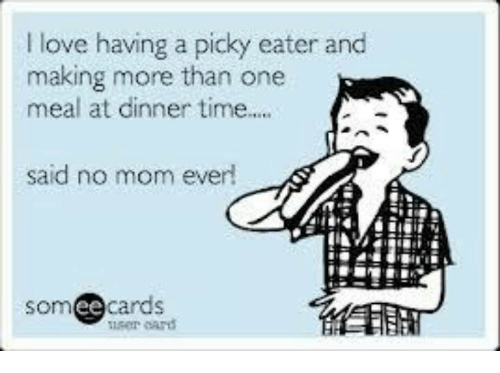 My kids are all grown adults now (28, 25, and 24) and I’d love to tell you it gets easier; that these picky eating traits and frustrations fade in time, but they don’t! I suppose we have all just learned to love each other a little harder (through the warts, frustrations and all!). To share a little … my daughter (the oldest) used to measure her socks with a ruler in the morning before we could leave for school (she was in 1st grade!). Drove me insane! Time had no meaning for her — and to some degree, it still doesn’t! But we have all learned to be more gracious and forgiving of each others irritations. I am giving you total kudos for not going bonkers over the sock thing! I’m going to try to embrace the Buddhist philosophy, but it’ll be a struggle. 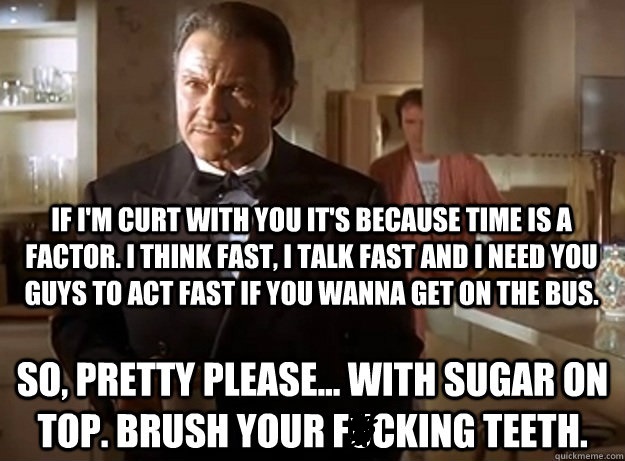 My mother always taught us if we weren’t 15 minutes early, we were late! They test boundaries because they want to know how much they can get away with haha!